The King Edward VII Bridge opened in 1906. Opened: 10th October 1928 by King George V.
Designer/Engineer: Mott, Hay & Anderson. Contractor: Dorman, Long & Co.
Traffic: Motor vehicles & pedestrian. Length: 1304 ft (397.72m). Width: 56ft (17.08m). 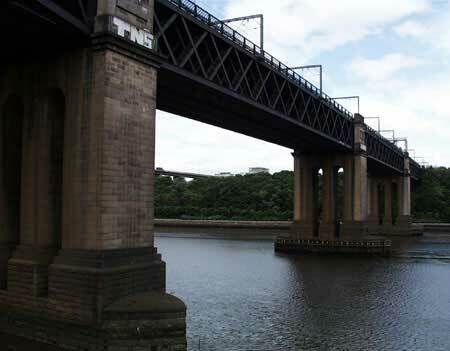 The King Edward VII Bridge was the second rail crossing over the Tyne and was opened by King Edward VII and Queen Alexandra in 1906.